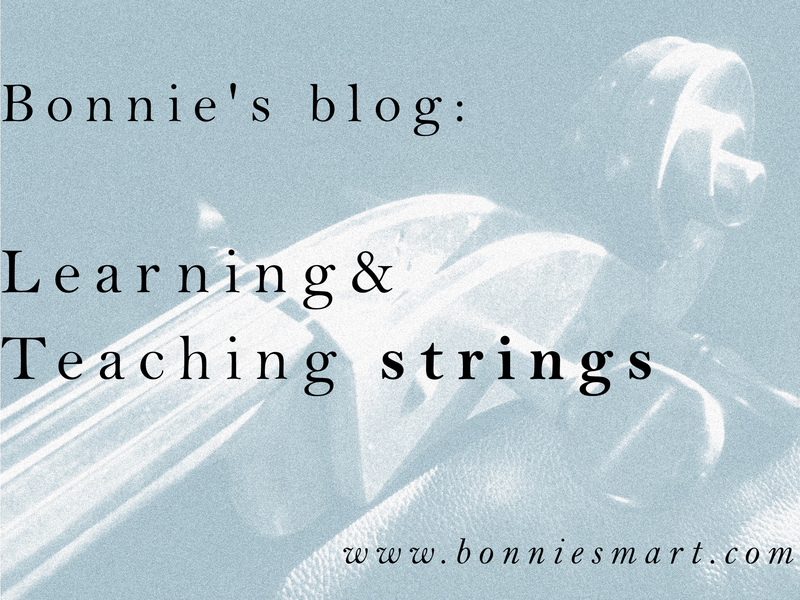 Shifting is part of left-hand string playing technique which we all spend many, many years working on (and worrying about)! For those who are just beginning shifting, I've put together a list of tips that might be useful, as moving from one left hand position to another requires careful attention and planning! 1. Begin with the goal in mind: if you can sing the notes you are shifting from, and to, you are part way there. (As a corollary, if you can't hear and sing what you are playing, then it will be very difficult to find the notes). Spending time singing your music, and playing it on the piano if you are able, will help. (Finding the note you are shifting to in a lower position, so you have an audible reference point, can help also). 2. Prepare the movement: the movement of shifting requires the whole arm be engaged, not just the hand. Start to prepare this movement of the arm while you are playing the previous note - it helps to achieve a slower, more relaxed shift - a fast and tense movement is unlikely to help with the development of a really good technique in the longer term. 3. Have a map: you wouldn't wander off the track while hiking without a plan or a map, and neither is it advisable to wander up into the higher registers of the cello without some kind of plan in mind. By this I mean, imagine all the notes in between the two notes of the shift - mark them out in your mind while you are practising, so the distance between the notes has a shape for you. Of course it is your ear which will guide you first and foremost, but having this partially visual/ largely kinaesthetic sense of the geography of the fingerboard will take you a long way on the journey towards accurate shifting. Think of shifting from one position to another, rather than from one note to another, and this will provide another measure of stability. Don't forget, isolating those two notes in the shift for practice is really important work in developing a solid left-hand technique: learning these distances on the cello takes time and attention, and this kind of slow work is incredibly valuable.